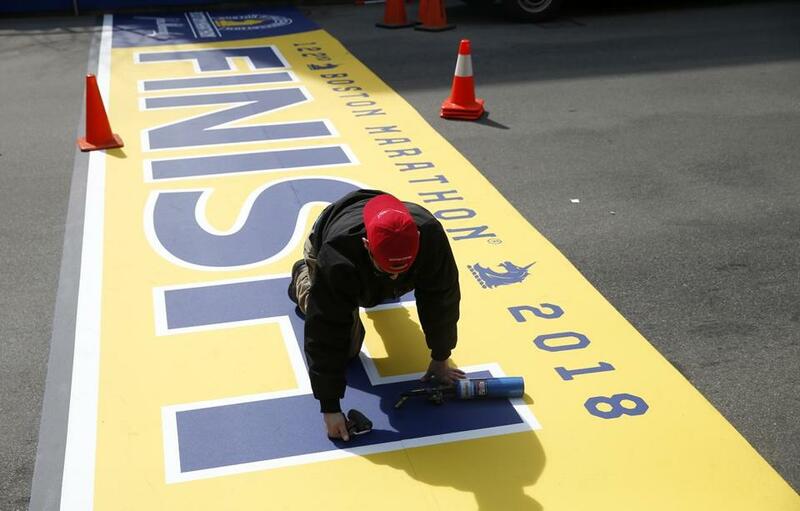 Jonathan Rodriguez of Peabody worked to lay down the Finish Line for the 2018 Boston Marathon on Boylston Street on Thursday. If you’re planning to watch the Boston Marathon from the sidelines, leave your backpacks, drones, and coolers at home. As in years past, this year’s Marathon will be closely monitored by law enforcement officers and security personnel, and spectators will be asked to pass through security checkpoints along the route.